Converting fossil-fuel buses to electric vehicles alone would save $39,000 over 12 years. The pupil-transportation system in New York is, like most of the city’s byzantine public-transit network, a messy tangle of private and public interests, forever veering from one political, financial, or labor crisis to another. That’s why the embattled transit-workers union is pushing a road map for a new school-bus system that promises fairer contracts, greener technology, and less-frazzled families. Hoping to overcome the city contracting system’s perennial labor conflicts, local bus drivers with TWU 100 are pressing the city to make school-bus service, long dominated by private bus corporations, more accountable to both workers and school communities through a union-led cooperative. Ideally, the pilot project would partner with the de Blasio administration’s coop development initiative to launch a labor-powered workplace. It could compete alongside the city’s numerous private vendors, but give the workers primary authority to negotiate contracts and compensation with the administration, compared to the ordinary contracting process. In the long run, the union’s vision is to gear up the industry as a whole with a more socially equitable, ecologically sustainable way of doing business. 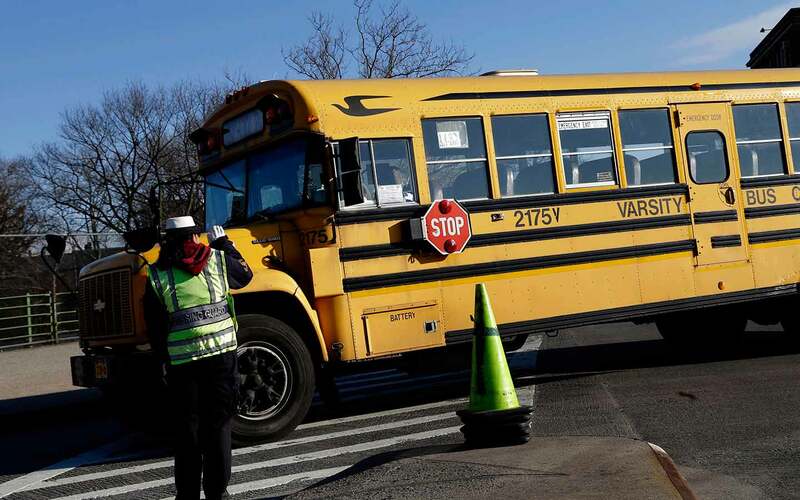 Under the Bloomberg administration, school-bus drivers wrangled over the retention of longstanding union pay protections, while bridling under cost-cutting pressures. TWU 100 President John Samuelsen developed the cooperative model as an alternative for organizing a modern transit workplace, which would be truly governed by workers’ interests. Matt Berlin of ICA Group, a cooperative-development firm working with the union, says the process would afford workers more scope and responsibility than traditional three-way bargaining with the contractor, the city, and the union: “This would in a sense be a much more direct case where workers would say to the city, ‘Listen, you want us to get to East New York at 5:30 in the morning, drive a bus from there until 9:30 with a bunch of screaming kids on it…then drive the kids home, leave East New York at 6 pm and do the same thing tomorrow morning.… We want this much money to do that job.’” In complex negotiations, he adds, “What’s really transformative…is that the workers themselves [can raise] other economic realities” beyond wages, giving a fairer assessment of the coop’s additional business needs, such as investments in technology and administration. Though a cooperative of this kind would be a nationwide first, cultural interest in coops has surged in recent years. Across New York City, since the 2007 crash created a confluence of mass joblessness and public momentum for alternative economic models, dozens of local cooperatives have sprouted up, many with support from the city’s coop-incubator program; the ventures range from tiny green housecleaning services to a major unionized home health-aide service provider. Nationwide, according to available statistics, roughly 300 cooperative workplaces—defined as worker-owned and -managed companies—employ an estimated 7,000 workers, though mostly in small-scale firms. The union’s envisioned school bus cooperative would approach a scale more typically seen in Spain, with its manufacturing and service mega-coop Mondragón, or Israel’s public bus-transit cooperatives. In addition to changing the workplace climate, a cooperative might change the actual climate as well. The union is pushing a “greenbelt plan” to introduce the city’s first eco-friendly school-bus fleet, running on zero-emissions electric power to reduce both the city’s carbon footprint as well as the local smog that is a major public-health threat for local youth (particularly for asthmatic gradeschoolers who wait twice a day amid dirty diesel fumes at the school bus stop). 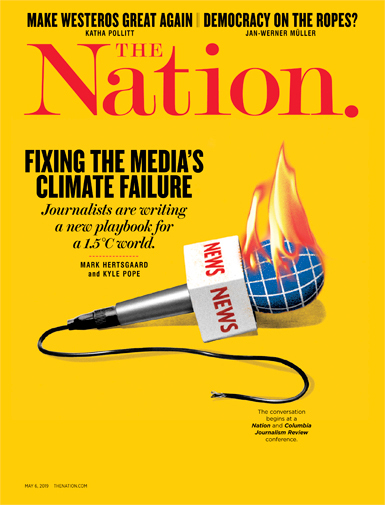 According to Columbia University researchers, converting fossil fuel–burning buses to electric vehicles would lead to a decline in emissions across the city by about 500,000 tons of carbon per year, amounting to about “$39,000 annual savings associated with [reduced fuel use and maintenance]” over 12 years, which would “more than offsets the higher cost of electric buses.” Converting the entire local bus fleet “translates to roughly $100 per New York City resident of health care savings per year.” Though the “greenbelt” program would contribute just a fraction of that, it would blaze a trail for a competitive clean-transport company competing alongside smog-belching corporate bus operators. In many communities, struggling school districts increasingly resort to outsourcing and subcontracting to cheapen labor costs. The budding bus-cooperative concept, founded with workers’ and community’s interests as its bottom line, could help steer New York onto the economic high road.